Sasha Nicholas now carries a selection of custom Greek gifts perfect for Bid Day celebrations, alumni gatherings, or just for yourself! 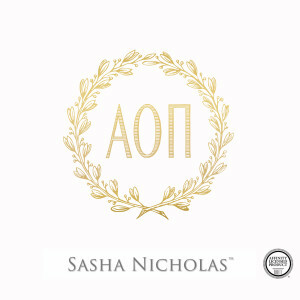 Our hand drawn Greek Wreath Crest makes a beautiful gift and can even be personalized with a message on the bottom. A great Big Sis and Lil Sis gift!